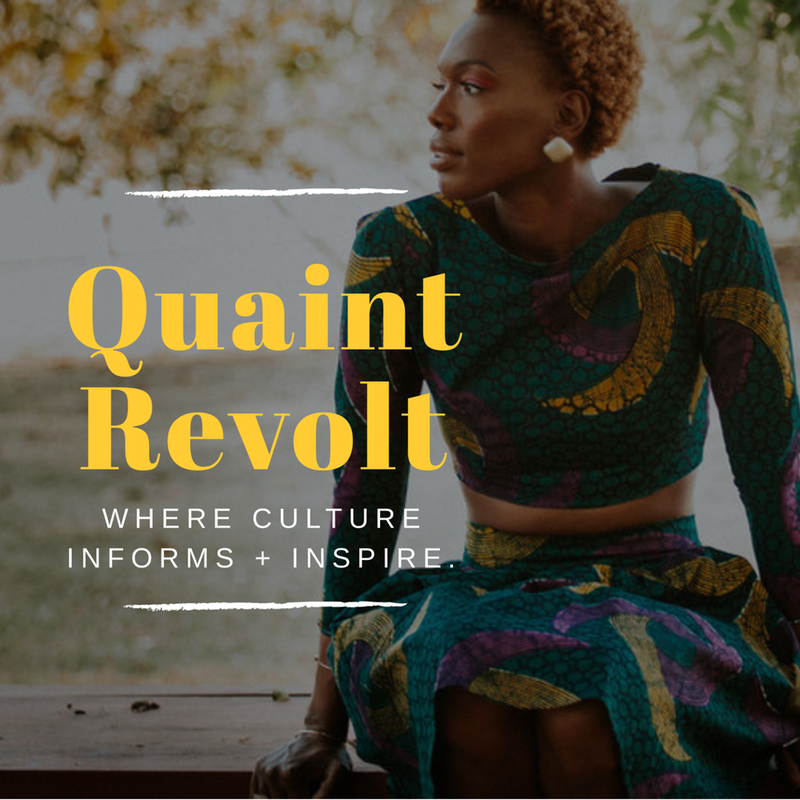 Quaint Revolt is a Diasporic Resource rooted in thoughtful storytelling, narrating the multicultural stories of creatives, thinkers + change-agents. Our features highlight the symbiotic relationship between the arts + society, drawing on disruptors of visual culture, media and discourse relating to the African Disapora. Referencing the past to inform the current and (re)create the future. Primarily a features-oriented publication, Quaint Revolt's distinction is the centering of depth, analysis, and authenticity through human-interest storytelling and visual narratives. This bi-annual facilitates meaningful discourse on aesthetics, culture and perspectives concerning the African Diaspora. Quaint Revolt is a textual tool that analyzes the intersection of arts, culture and society. Conceptualized in 2014, Quaint Revolt Media, llc is a nucleus generated by a thoughtfully-curated collective of progressive, creative, rebels who innovate, inform and inspire.